This AUsome! blog addresses the technical portion of the .au Registry Transformation Project. In today’s post, we announce another great feature: 24x7 service! In March, we announced the opening of Afilias’ newest office on the 35th floor of the new Melbourne Central Tower. 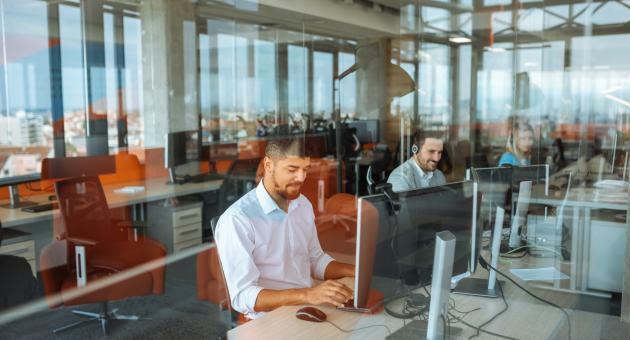 This office is outfitted with state of the art call center equipment and houses our dedicated team of experienced Customer Support professionals, domain security analysts, and operations experts as well as our sales, marketing and management staff. A key function of the Melbourne office is to lead the delivery of 24x7 customer service and technical support for all .au registrars. One of the requirements of the Registry Transformation Project is the delivery of service “around the clock,” and .au registrars are glad to know that Afilias will be there regardless of the time of day or night. Why is this important? Because anyone on the internet knows that all internet businesses—like many .au domain name registrars--operate on a 24x7 basis. Problems can happen at any time and when they do, it is important that all needed support resources be available, regardless of the time, holidays included. The registry must be ready to help. Beginning July 1, not only will a live Afilias person answer the phone, they will have engineers and other support at their beck and call to help solve any particularly thorny issues. Australian businesses compete in every market in the world, and many have special work hours for their teams that service clients in North America and Europe. When these teams need support, their .au domain name registrars will have immediate access to world class customer support 24x7. Afilias has been providing 24x7 support to registrars since 2001, and we are excited to extend this proud tradition to our Australian colleagues. Afilias does not use generic call centers—we’ll provide competent support with live, trained Afilias staff.